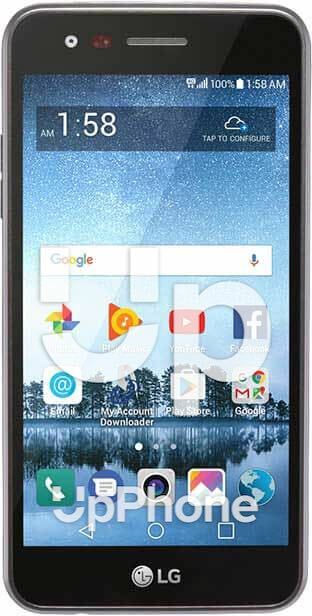 LG Rebel 3 LTE Price, Review, Deals, Cost, & Sales! Home / Compare Cell Phones / LG Rebel 3 LTE Price, Review, Deals, Cost, & Sales! The LG Rebel 3 LTE is an entry level phone that features a minimalist slim arc design. It has a 5" screen, 5 MP camera and a 2,500 mAh battery. This device comes with a smallish 5" IPS LCD with 480 x 854 display resolution. In comparison, the LG Tribute Dynasty is equipped with a 5" IPS LCD display screen with 720 x 1280 pixels. The LG Rebel 3 LTE has a 5 MP rear camera that is able to record HD quality videos. It also comes with a 5 MP front camera that features Auto Shot and HD Camcorder. For the onboard drive, the LG Rebel 3 LTE has a 16 GB internal space with support for up to 32 GB expansion via microSD. This device comes with a single back-firing speaker that lays flat on its back. Audio quality is good with distortions at higher levels. The LG Rebel 3 LTE runs on Qualcomm MSM8909 clocked at 1.1 GHz. Performance is slow with noticeable lag times between app transitions. While the LG Tribute Dynasty comes with an ARM Cortex-A53 clocked at 1500 MHz. Powering the device is a tiny 2500 mAh battery. Life span is mediocre with talk times lasting for 720 minutes and standby time of up to 201.6 hours. It has no fast charging nor wireless charging. The LG Rebel 3 LTE is an entry level phone. This phone is exclusive to TracFone carrier. It has a Knock Code that unlocks the phone via a specific tapping on the screen. Features Content Lock where it locks images and videos in the gallery even when connected to a pc.